Thank you to all who have supported HSC throughout 2015 and peace and health to you for 2016. Laurence Bond leads our next session on Thursday, 7 January at 9pm in the Abbey Tavern with ‘All the Flowers of the Forest’. 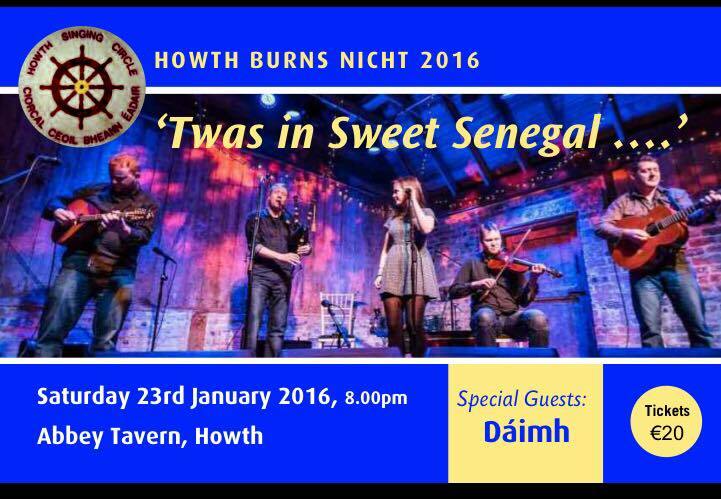 This entry was tagged Abbey Tavern, Dáimh, Howth Burns Nicht, Howth Singing Circle, HSC. Bookmark the permalink.